Builders don’t always know what to offer. 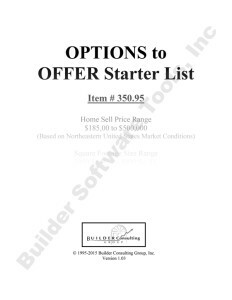 Builder Software Tools, Inc. has compiled a comprehensive started list to get the process going. 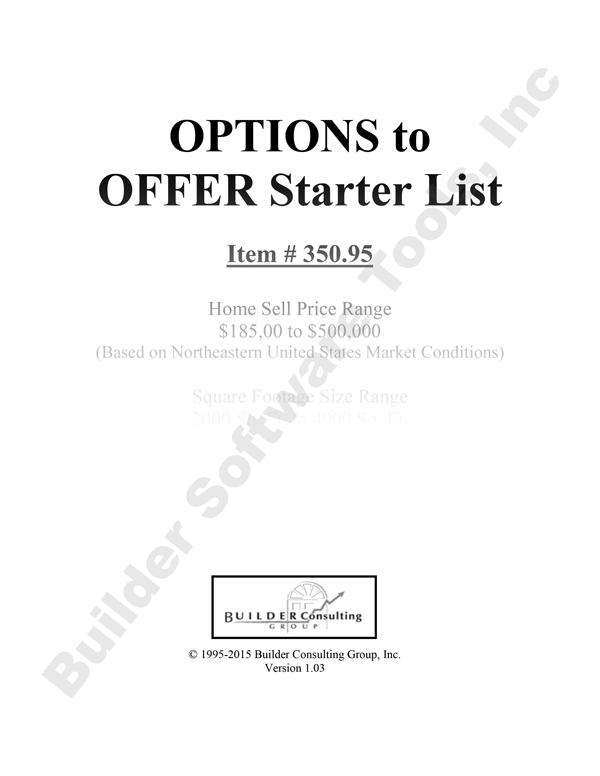 Each builder can adjust and adapt the list as needed to the local market. (Option listing has a Northeastern orientation, but is useful nationwide).